The Canadian Boreal Forest Agreement – Toronto News Conference highlights – Avrim Lazar (FPAC) and Richard Brooks (Greenpeace). 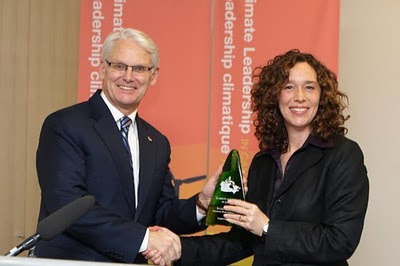 VANCOUVER—Last week’s announcement of the Canadian Boreal Forest Agreement (CBFA) was celebrated by environmental groups as a historic deal that could save a significant amount of sensitive woodland caribou habitat. An early criticism of the deal was that Indigenous governments and organizations were left out of the creation of the agreement. The public was also left in the dark while the CBFA was negotiated in secret between nine environmental non-governmental organizations (ENGOs) and 21 forestry companies. The 71-page agreement has yet to be released on the CBFA website. The Vancouver Media Co-op obtained a leaked copy shortly after the deal was announced. Greenpeace and the other ENGOs involved in the agreement have chosen their words carefully. 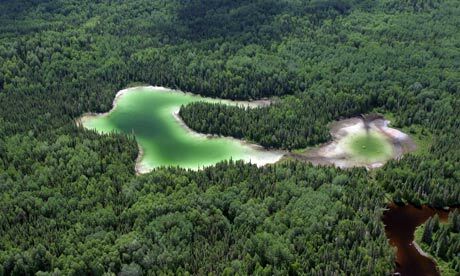 Greenpeace has called the deal an “unprecedented accord…covering more than 72 million hectares of public forests, an area twice the size of Germany.” The agreement includes what the proponents are calling a series of interim measures to protect caribou habitat while various levels of government take action to create protected areas for caribou. Further investigation reveals that this agreement aims to silence all criticism of logging practices in the boreal forest in return for less than two years of diverting harvesting and road building from 72,205 hectares of woodland caribou habitat into other areas of the boreal forest. View enlarged version. 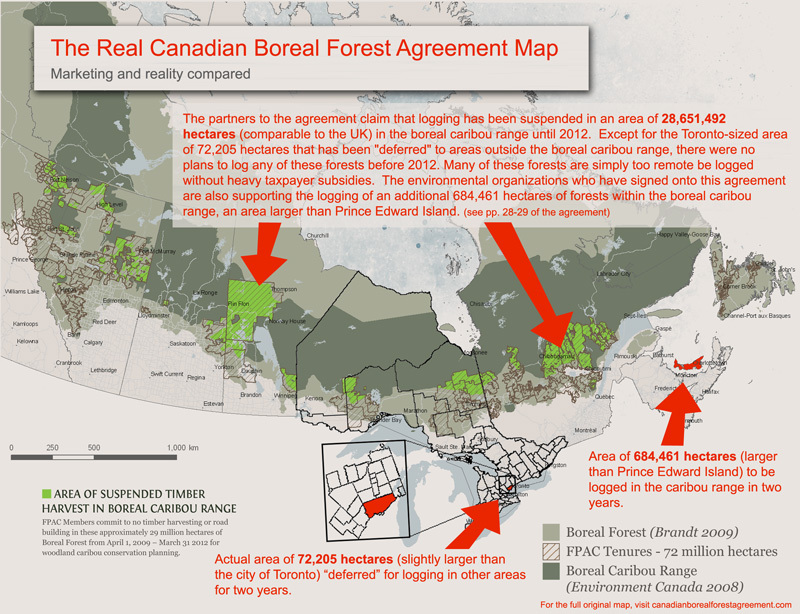 Map source: Canadian Boreal Forest Agreement. Annotations and overlays by Petr Cizek and Dru Oja Jay. The 21 logging companies involved in the deal are grouped together as the Forest Products Association of Canada (FPAC). Together, FPAC member firms hold tenures for over 72 million hectares of boreal forest, stretching north from the Northwest Territories down through northeastern British Columbia and continuing east all the way to Newfoundland. Included in these tenures are 29,336,953 hectares of caribou range lands, according to the report. Between April 1, 2009 and March 31, 2012, FPAC companies had scheduled to harvest and build roads on 756,666 hectares inside caribou range lands. That means according to existing industry plans, the vast majority of caribou range lands were not slated to be harvested by the spring of 2012, when the current agreement expires. Far from protecting caribou lands in their entirety, the outcome of the CBFA reduces the FPAC affiliate cut in caribou range lands from 756,666 to 684,461 hectares until spring 2012. This means 72,205 hectares of harvesting and road building will be “deferred” to “areas outside of caribou range.” In other words, there is no change in the amount of harvesting, only in the locations where harvesting takes place. While the agreement technically “covers” a forest twice the size of Germany, the amount of caribou range that will not be cut before 2012 as a result of the agreement is only slightly larger than the City of Toronto. The deal still allows 684,461 hectares to be cut in caribou habitat. This, despite the fact that an expert committee of the Canadian Wildlife Service recently recommended that virtually all industrial activity within woodland caribou range be suspended. In agreeing to the CBFA, the nine ENGOs involved are actively supporting the logging of an area larger than the entire province of Prince Edward Island within caribou habitat between now and 2012. By reducing the overall number of hectares of caribou range they refer to, logging companies and ENGOs can claim a near total halt on logging in caribou range lands, even though they’ll still log 684,461 hectares, almost 10 times the area they’re claiming to have saved. Finally, the “three year” deal actually started more than a year ago, on April 1, 2009: industry promises for harvesting deferrals expire April 1, 2012. But the numbers game is far from the only Orwellian aspect of the Canadian Boreal Forest Agreement. To ensure that the days of Greenpeace dropping banners from Abitibi-Bowater’s HQ are long forgotten, the agreement stipulates that ENGOs will take back whatever bad things they may have said about FPAC member companies in the past. This mandatory change in tone by environmental groups takes a couple of forms. The agreement also means that if an environmental group which is not a signatory of the deal should happen to tell someone from, say, the David Suzuki Foundation about plans to denounce one of the companies involved in the CBFA, the person from the Suzuki Foundation must warn FPAC member companies immediately. ENGOs and FPAC will then jointly plan how to respond, which includes actively working together to “have such a third party appropriately modify its position and/or public statements.” This legalese means that the ENGOs and FPAC might jointly threaten to sue or sue the third party. In the past, industry has undertaken such SLAPP (Strategic Lawsuits Against Public Participation) suits, but it is precedent-setting that ENGOs have now become willing participants in striking down criticism of forest practices across Canada. In return for swapping 72,205 hectares of harvesting out of the boreal forest and maintaining “voluntary deferrals” for another two years, the CBFA transforms the nine ENGOs involved into a promotional service, protection racket and intelligence gathering service for twenty one companies that are actively logging woodland caribou habitat within the boreal forest. Dawn Paley is a Vancouver-based journalist and a member of the Vancouver Media Co-op.